These rich, deep blue lapis lazuli leaf earrings are designed and made by James Eustace from Cochiti Pueblo, New Mexico. 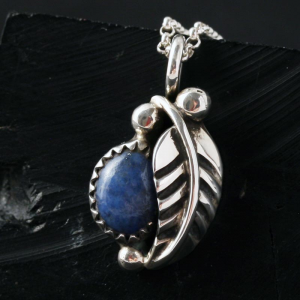 Each polished lapis stone is set within a hand crafted sterling silver leaf. 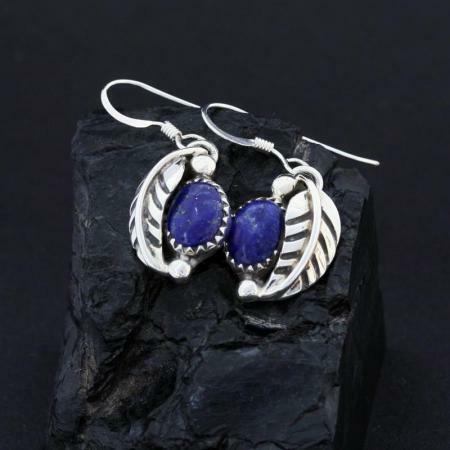 These lapis lazuli leaf earrings measure 32mm in length including the sterling silver french wires. 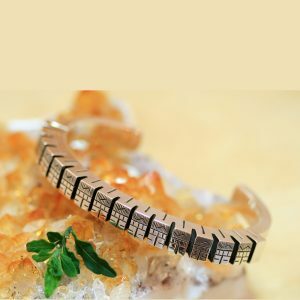 The family of James Eustace have been making jewellery for generations. 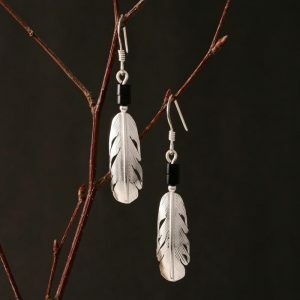 James jewellery is influenced by the design of his late grandfathers, whose carved and filed stone designs he has now inherited. A lapis lazuli leaf bracelet made by James Eustace can be found in the Collection of The British Museum. It was purchased from the artist by the museum in 1998. Cochiti Pueblo is one of New Mexico’s nineteen Indian Pueblos. It is located fifty five miles north of Albuquerque in the heart of their traditional homeland. The Pueblo comprises more than eighty four square miles of reservation land and has a population of over five hundred and twenty. The land, air and water adjacent to the reservation is of primary importance because it is the lifeline of the Pueblo traditions and culture. 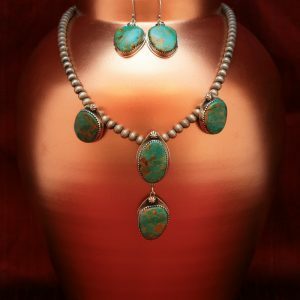 Cochiti Pueblo is well known for arts and crafts particularly jewelry, pottery and drums.